Tourists who come to Gili Trawangan, North Lombok, West Nusa Tenggara increased by 30 percent compared with the previous year. According to the Manager of Hotel Ombak Sunset, tourists who come to Gili Trawangan will increase in July, August and December. In that month, the number of tourists can reach 55 thousand people. 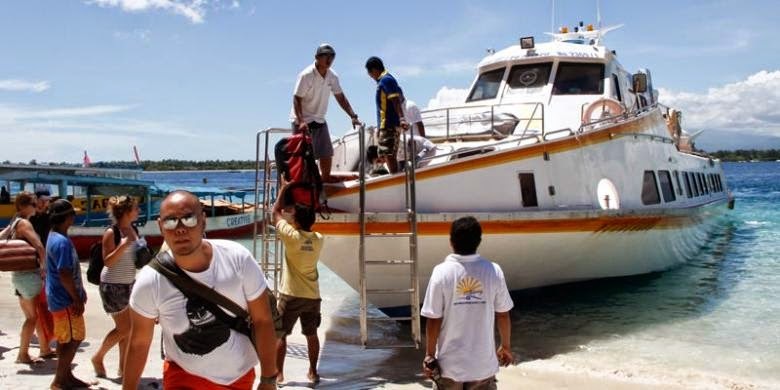 As many as 65 percent of tourists who visited Gili are tourists who came from Bali. They used a speed boat to the port of Gili Trawangan. Gili Trawangan is currently becoming one of the tourist icon in Indonesia. Gili Trawangan gives a different atmosphere. Local culture in Gili Trawangan is still genuine and original. Gili Trawangan someday could become one of the tourist destinations than Bali.